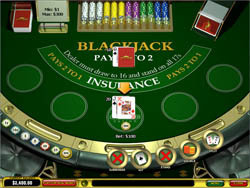 One of the most renowned casino games and probably one of the most popular among them is the game blackjack. 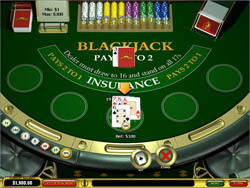 A game of blackjack is based on the goal of reaching a hand value which is higher than the dealer’s hand value or equals 21 by sum of cards or by hitting blackjack. Play City Tower Blackjack Now! City Tower Blackjack comes in 6 different variations, each suitable for different types of players in accordance with their experience and the amount of money they are willing to bet on in the City Tower Casino Blackjack games. 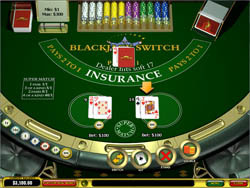 City Tower offers a chance to play City Tower Blackjack in one of the following Black jack game versions. A 6 deck game, players gets two up cards and dealer gets on up. Players can split but never re-split, in case of splitting aces and being hit with 10 points card, 10 or face , cards value will be 21 and not blackjack. Dealer must stand at all 17 and a double down is allowed even after a split, if a player doubles down when dealer is showing ace and dealer gets Blackjack, player loses both bets but if doubling down when dealer shows a ten point card and gets Blackjack, player gets both bets back. There is no surrendering in City Tower Black jack Classic. A six deck game. 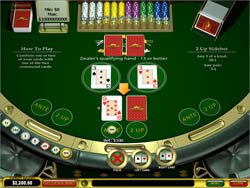 Players are dealt 1 card up 2 cards down, dealer is dealt two cards down and two additional up cards, which are referred to as communal cards, are placed at the center of the table. Player then folds and loses the bet, or chooses a one communal and doubles the bet. If the hand is to the liking of the player he or she can stand or choose hit and have one down card turned up and becoming part of the hand. Dealer then turns one of card up and chooses a communal. Dealer stands at 17 or higher and must cone higher than 13 to qualify or the player wins initial bet and gets a push on the secondary bet. There is no Blackjack in City Tower 21 Duel Black jack as all 21s are equal. A six deck game, players get two up cards, dealer gets 1 up 1 down and stands at 17 or higher. Splitting is allowed but if a player splits aces and gets a 10 points card than it’s 21 and not a Blackjack. Players can double down at any time, if the dealer shows an ace and is dealt a Blackjack players lose their bets however if dealer shows 10 and gets Blackjack players get their bets back. Surrendering at an early stage is what gives City Tower Black jack Surrender its name and is possible just after dealer checks for Blackjack, resulting in losing half the bet. A six deck game, player is dealt two hands of two face card and dealer is dealt one card face up and one face down. Player can switch the top cards of each hand at no cost at all. Splitting allowed once, dealer stands at 17 but if hits 22 all bets are pushed. If a split on aces gives the player a 10 point card it is 21 and not Blackjack. All of City Tower Blackjack rules can be found at City Tower Online Casino or by contacting their support chat and costumer service Here. City Tower Blackjack awards new players with a $1000 bonus for playing Blackjack at City Tower Casino.